See additional images for napkin colors, imprint colors and shipping chart. Colors may vary from how you see it on a monitor because monitors are calibrated differently. The true and accurate color is how you see it when it when it arrives. 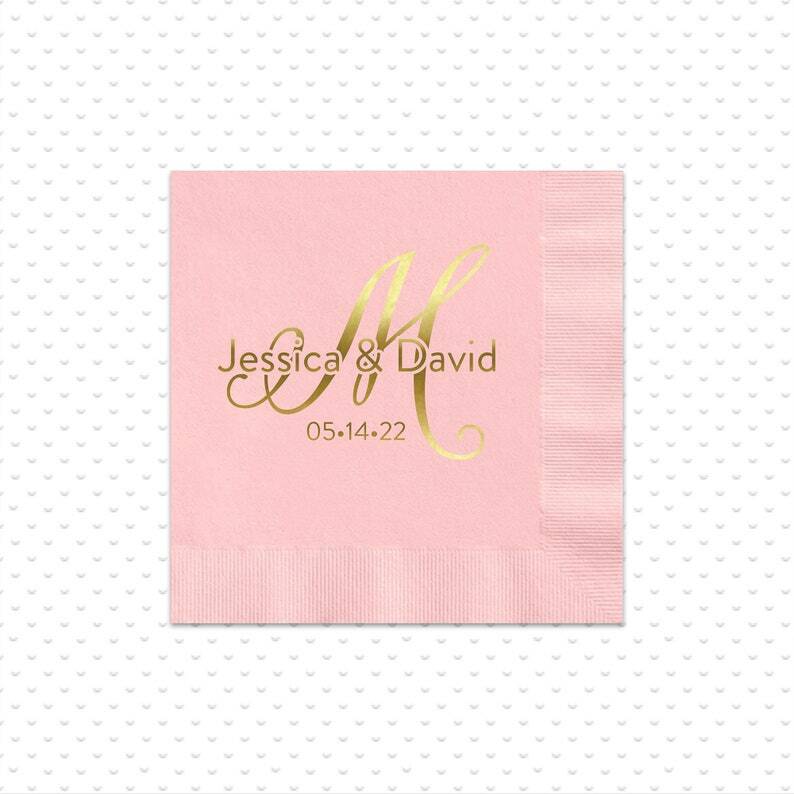 If this a concern for you please contact us prior to ordering so you can purchase a napkin sample (not personalized) and you will be able to see it in person before committing to a full order. Please note that quantity discounts apply when ordering more than 100 of the same napkin color / font color and personalized information in one order. Please order more than you think you will need since additional orders are considered new orders and the same minimum requirement of 100 napkins apply to additional orders.